Happy New Year All That Jas Live listeners! It is 2014, and this is the first show of the brand new year! On Sunday evenings show we discussed everything from our fave jams from 2013 from around the globe— In true All That Jas fashion (according to billboard.com and Rolling Stones Magazine), as well as this we also discussed everything Golden Globes! Below you can find a full track listing of all the music played during Sunday’s live show! As well as discussing the biggest hits in music from around the world, we also discussed the some of the biggest moments in the media during 2013! This included the huge success of Queen B’s surprised album that took the music industry by storm, “Beyonce”. The self entitled hit album includes superstar rapper hubby Jay-Z, Canadian fave Drake in the single “Mine”, the album also features Bey and Jay’s now 2 year old toddler, Blue Ivy Carter who gets her own feature mention in the beautiful song named after the royal offspring herself “Blue”, just to name a few. If you haven’t had the chance to listen (or watch) the brand new album complete with 14 songs, and 17 videos, do yourself a favour and pick it up TODAY! 2013 continued to prove to be a crazy year in the media. Arguably one of Hollywoods most hated couples, Kim Kardashian and Kanye West undoubtedly dominated the headlines and tabloids week after week. 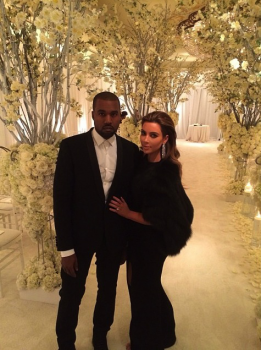 With the birth of the powerful couples first child, North West, Kanye’s many unpleasant run-in’s with pesky photogs, Ye’s groundbreaking and arguably best must see tour of the year “Yeezus” and finally the infamous couples no hold bars engagement, it is safe to say, Kimye is here to stay… like it or not. (At least for the next 72 days). Lastly, what would 2013 be without the crazy antics, twerking, giant teddy bears and a wacky buzz cut be without Hollywoods favourite disney starlet gone bad girl, Miley Cyrus? Love her or hate her, miss Miley Cyrus dominated the tabloids week after week, and has been continuing to do so in 2014. From her not so shocking split from fiancee Liam Hemsworth, the drop of her #1 album “Bangerz”, 2014 was Miley’s year to twerk whenever and wherever she pleased. Sunday night was the big Golden Globe awards and All That Jas Live was there to document all the best fashion from the big evening. 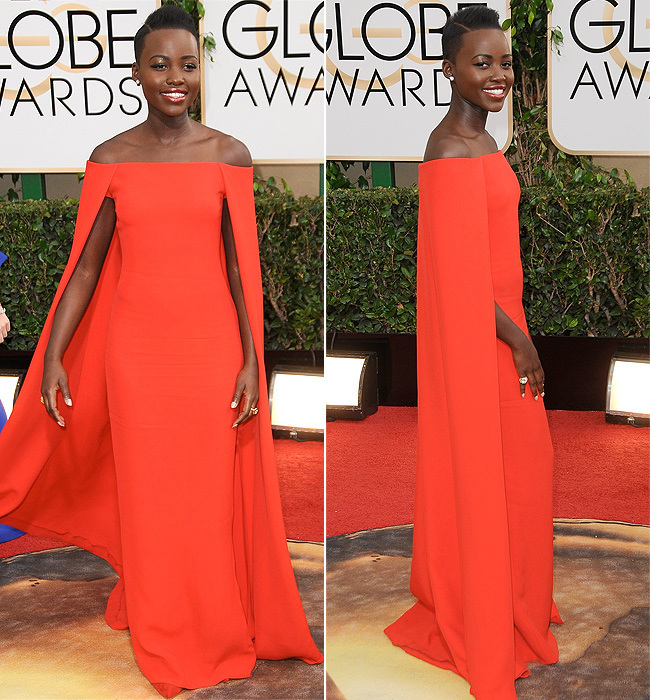 We counted down my top 3 fave looks of the evening. 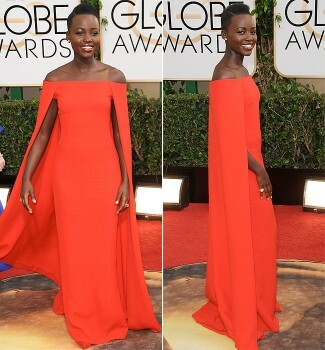 And as a bonus, another one of my favourite’s at Sunday’s show was newcomer Lupita Nyong’o from 12 Years a Slave in a stunning red Ralph Lauren cape dress. Thank you to everyone who tuned in, same place and time this upcoming Sunday!